We propose a full day in Vacarisses, a village in a beautiful natural setting within the Parc Natural de Sant Llorenç del Munt i l’Obac and the Natural Parc of Montserrat. 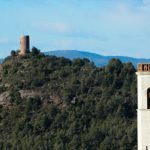 A good option is to take advantage of the morning to make a wonderful excursion to the ancient surveillance tower of Vacarisses, the Torrota, which will move us to medieval times. Before arriving, you will find a terrace suitable for playground and picnic, where you can stop for breakfast. The Torrota stands majestically on top of a hill and offers a beautiful panoramic view of the cliffs of Vacarisses, with the mountain of Montserrat. See tour La Torrota de Vacarisses. 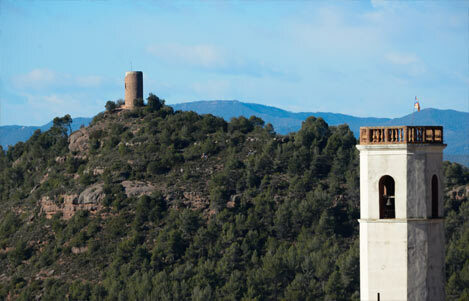 At lunchtime, the village of Vacarisses offers several dining options with proposals for all tastes. Check out the restaurants in Vacarisses. 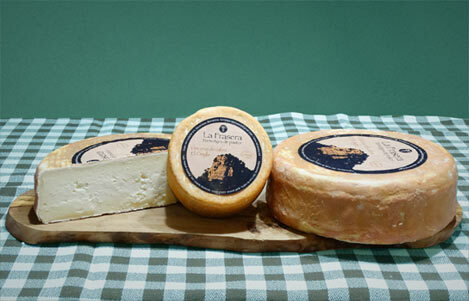 In the afternoon, you can go to know how the cheese of La Frasera is manufactured, where it is made with goat milk following handmade methods. In addition, at this farm a project of recovery of agricultural activity takes place: organic olive trees of the palomar autochthonous variety, vegetable products and also it is cared a goat herd for milk production. Finally, another good option if you are going with children and want to have a snack, is a picnic in the source of l’Orpina, where you will find an area of leisure with swings. We hope that you have enjoyed this day!